I am excited to share that we have decided to continue the Challenge and its inspirational themes in 2016! Our new themes will be revealed soon--keep at eye on the Challenge Wall for more. To help celebrate a NEW YEAR of creativity, we would love our members to create a new Logo for 2016. 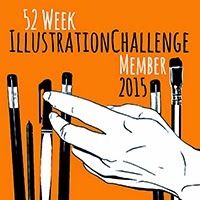 The 2016 Challenge Logo competition is open to all Challenge members. All you need to do is design either a completely square or round logo. Text on the logo should include ’52-Week Illustration Challenge 2016’ (no other text, signature or watermarks to be included). We will adapt the chosen logo to suit the size of the Facebook Page banner and Blog banner and for merchandise once the winner has been decided. Condition of entry is that the winner will agree to allow full use of the logo in all Challenge promotion, publications, merchandise. There will be no payment made to the winner but the logo will be fully credited to the winner, along with links to winner’s website, gallery or blog. To enter, please post your logo design directly to the Challenge wall labelled 2016 LOGO COMP as well as posting into the ‘2016 Logo Completion’ photo album created in the Challenge Group Photos. 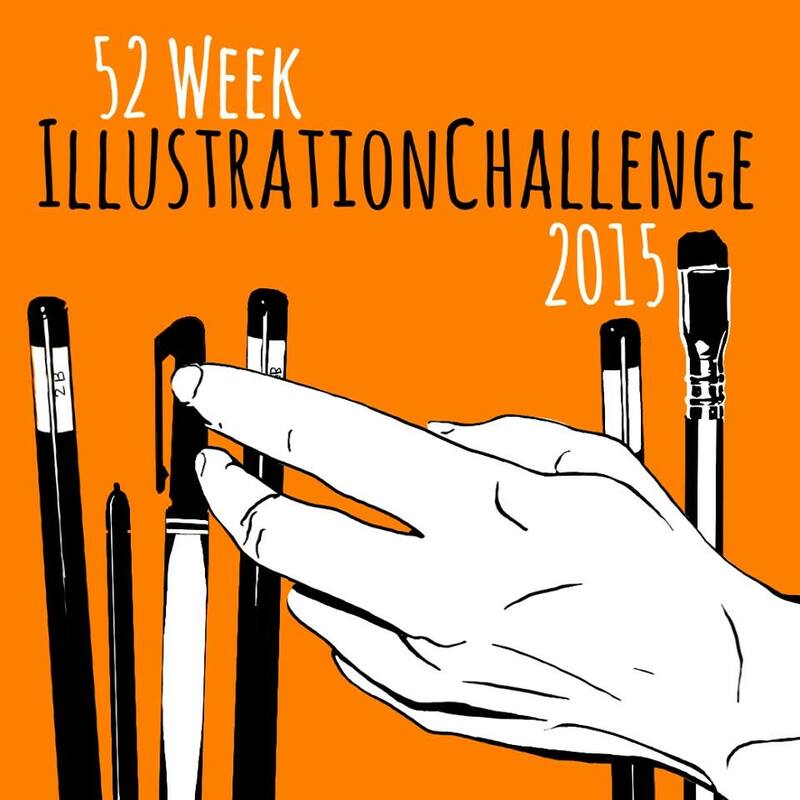 Entries will close 18th December and the winner will be announced 1st January to help kick-start the year 2016 of 52-week Illustration Challenge. Logo must be your own artwork and not infringe on any copyright or trademark. An ‘Agreement to Release Artwork’ form will be signed by winning Challenge member releasing the logo to be used for all promotion, marketing, website, blog, Facebook both in print and online. No payment will be received for winning logo. No royalties for usage will be earned. Copyright and full credit of winning logo artist will be attributed and displayed on the Challenge website, Facebook and blog. Thank you to Sally-May Lott who was the designer of 2015 Logo. She did an amazing job and her design was embraced by the whole community during 2015. You can read more about Sally-May HERE. If you missed out on buying 2015 merchandise, there are still a few badges and magnets available and bags, mugs etc... HERE. See 2015 logo shortlist HERE.